Kristin Thorne has the latest developments on the explosion in Chelsea. 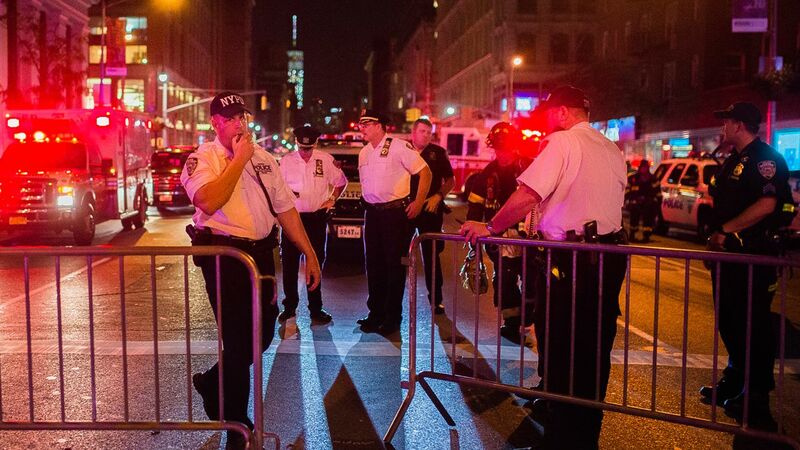 CHELSEA, Manhattan (WABC) -- New York City's mayor said an explosion in the Chelsea neighborhood of Manhattan Saturday night that injured 29 people was an "intentional act." The explosion happened around 8:30 p.m. Saturday in front of 131 West 23rd Street, between Sixth and Seventh avenues. Twenty-eight of the people hurt suffered minor injuries, and one person's injuries are being described as serious. All 24 patients taken to area hospitals have been treated and released. 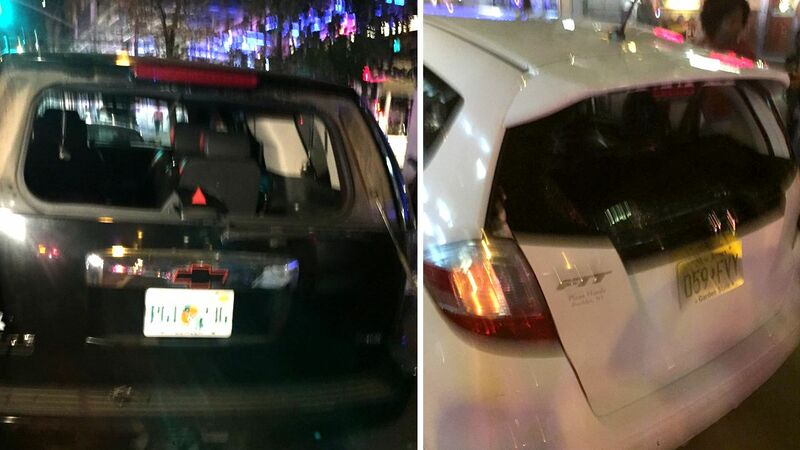 Debris landed on nearby cars and shattered some windows. Two cars on West 23rd Street and Sixth Avenue had their back windows blown out. An 8-year-old who was in the back seat was injured. The incident was captured on multiple surveillance cameras. Mayor Bill de Blasio said that while the blast appeared to be intentional, it does not appear to be linked to terrorism. Explosion investigation in Manhattan, New York. Police said surveillance video recovered from West 23rd Street shows the explosion, and contains other evidence that indicates to investigators that the original object was intentionally left next to a construction trash container. RELATED: Transit-related delays and closures in area. Chelsea residents described a scene of chaos after the explosion rocked the neighborhood. CeFaan Kim spoke with Chelsea residents after Saturday night's explosion. The object is described as four feet by four feet by three feet in size. In one video obtained by police, they see a man crossing the street in the vicinity of where the original object was left. The trash container was blown clear into the street by the force of the blast. The object left behind could be a large tool box, and was left next to one of several commercial trash containers in front of a building that has been under construction. Investigators are trying to determine if there is a connection to this construction site. "Now, I want to be clear: Whatever the cause, whatever the intention here, New Yorkers will not be intimidated," the mayor said. "We are not going to let anyone change who we are or how we go about our lives." The FBI and Homeland Security officials, along with the Bureau of Alcohol, Tobacco, Firearms and Explosives arson and explosive task force, were all at the scene. Police confirmed that a second device was found hours later on West 27th Street -- four blocks from the scene of the first explosion. Officials in New York provide an update after an explosion in Chelsea. The reports of a possible blast came hours after a pipe bomb exploded in Seaside Park, New Jersey, shortly before thousands of runners participated in a charity 5K race to benefit Marines and sailors. Mayor de Blasio said there is no connection between the explosions. New York City officials are urging anyone who saw or heard something to call 800-577-TIPS. They're planning to give an update at noon. Stay with Eyewitness News abc7NY for the latest on this developing story.